Don’t forget your newspapers this weekend to snag the three coupon inserts coming out! You’ll find one Smartsource insert and two Redplum inserts. 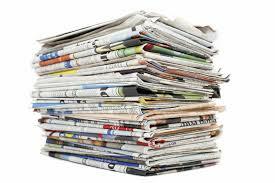 If you’re new to couponing and just getting started with purchasing newspapers, I suggest the Couponing 101 tips found here. ← Rite Aid: Better Than FREE Nexxus Hair Products (starts 8/03)!